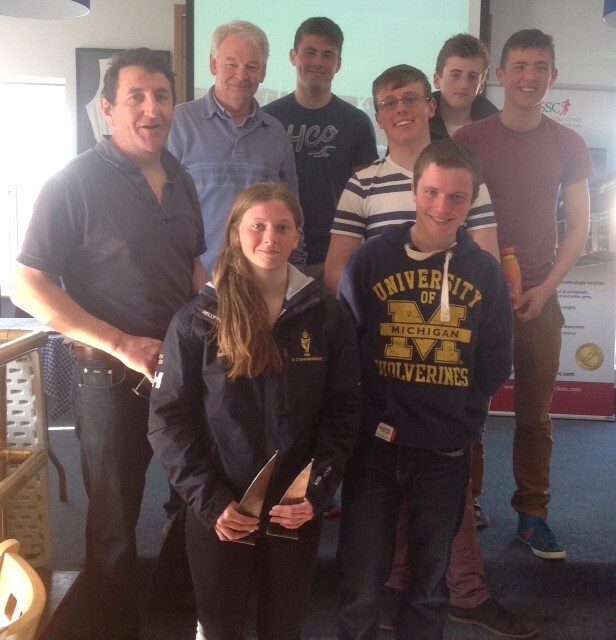 Easter weekend saw the Irish Laser class complete its first regional event for 2015. Our Royal Cork sailors turned up in great numbers to ensure the largest contingent of any club at the event. In line with Laser fleet tradition, the event was again hosted very successfully by Baltimore Sailing Club. The Club put on a great event with Dave O Brien running things ashore and PRO Richard Leonard in charge on the water. The club team of volunteers managed a fleet of over 100 boats. Well done all. Light winds and sunny conditions throughout the weekend helped to make a great event. The Standard rig saw Seafra Guilfoyle take a podium position by finishing in 3rd place while seasoned campaigner , Nick Walsh joined him as winner of the Masters category. Fellow Masters sailors, Eddie Rice and Billy Duane, finished further back while the young pretender Tom McGrath, who is new to the standard rig, put in a very credible performance. The very competitive Radial fleet saw Ronan Walsh take the role as the pace setter by close of business on Saturday evening and this paid off when he secured a top five finish overall in a fleet of thirty four boats. Billy Duane jnr put in a good performance finishing 13th, while the quartet of Charlie Moloney, Richard Thompson, Adam D’Arcy and Jamie Tingle bunched up beside each other finishing in the late teens /early twenties. Our younger sailors in the 4.7 fleet saw Rebecca O Shaughnessy take some silverware home as overall runner up and first Girl. Luke McGrath wasn’t far behind finishing an impressive 6th and closely pursued by Richard Mcginley and Eoghan O Regan to secure four top ten finishes for the club. Relative new comers Patrick Daly and Criofan Guilfoyle also did well and are learning from every outing. Well done to all our sailors for keeping the Royal Cork flag flying high. Thank you to all at Baltimore Sailing Club.